With a large family and a love of Volkswagens we've always been fond of camping holidays in the UK, and one of our favourite places to stay is the Isle Of Wight. surrounded by gorgeous and fascinating beaches, full of history and blessed by far better weather than Manchester, it is also a very affordable place to holiday with a family. 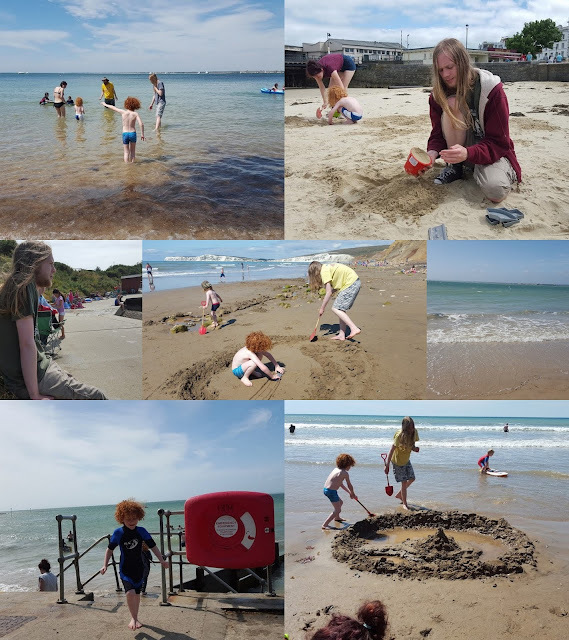 Last August we returned to the Isle Of Wight on our first proper holiday in 3 years. 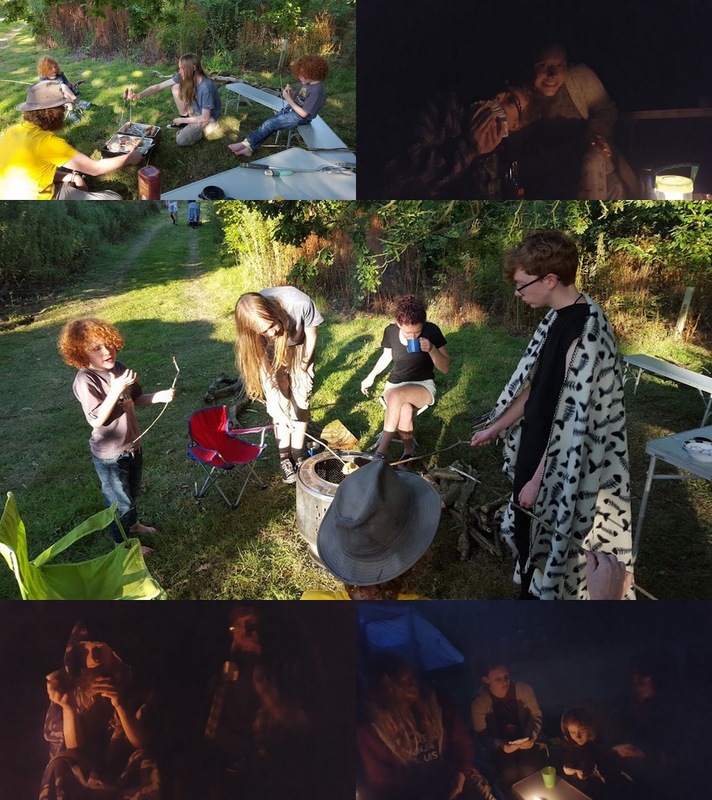 We took 5 of our children and young people down to the Isle Of Wight for 10 days, staying at an amazing short-season eco-campsite that belongs to some very good friends of ours - Camp Wight near Yarmouth on the Tennyson Trail. 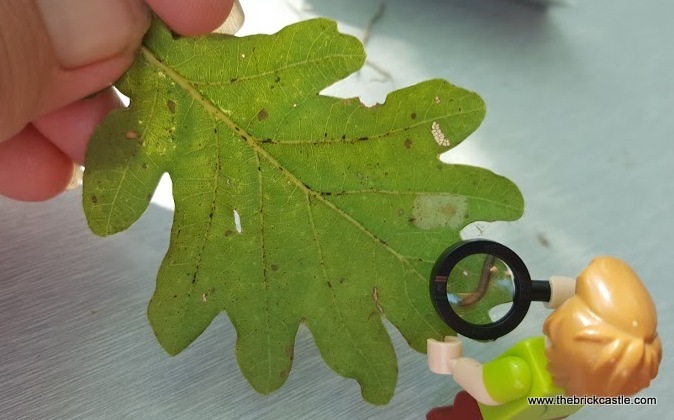 The campsite has fairly wild camping amongst trees, shrubs and other plants, which meant we barely saw another person and the kids could have a large enough area to free roam and play hide and seek. The teenagers were able to camp out of sight from us, but still close enough for us to hear them laughing and talking half the night...they put up their own tent!! 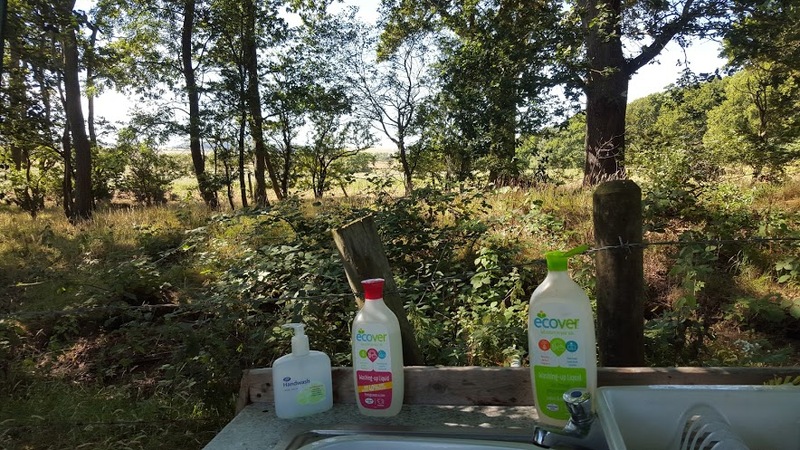 Can you have a better view when you wash up? 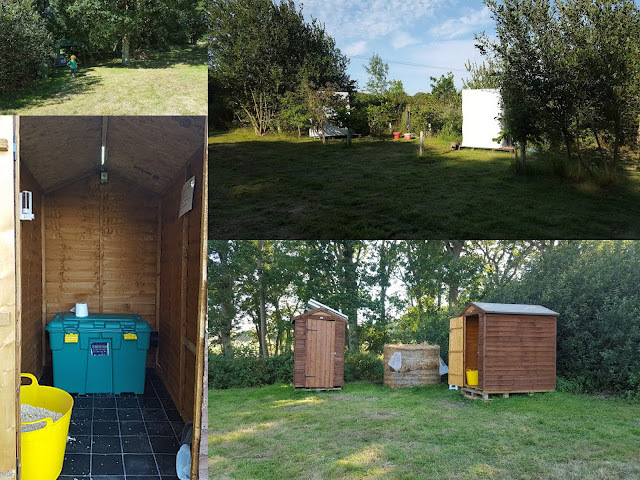 The Isle Of Wight gets around 400 extra hours of sunshine a year compared to our home in North Manchester, and the time we spent there the temperature was 10 degrees warmer than at home. 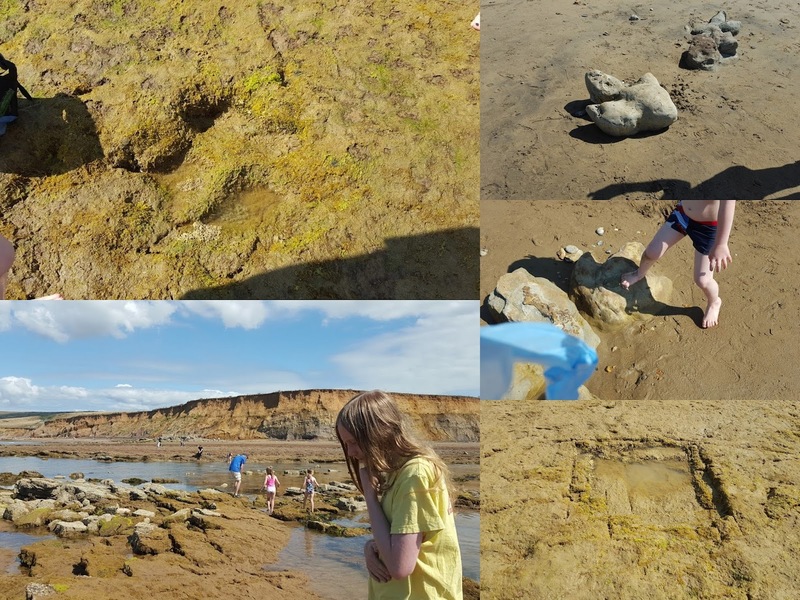 It is also blessed with some amazing and varied beaches - for rock pooling, fossil hunting, sunbathing and sandcastle building. We really made the most of it. Our favourite beaches were mostly 5-10 minutes drive from our campsite, but the island is so small you can day trip anywhere you like by car and move between different beaches during a day to follow the best weather or tide. 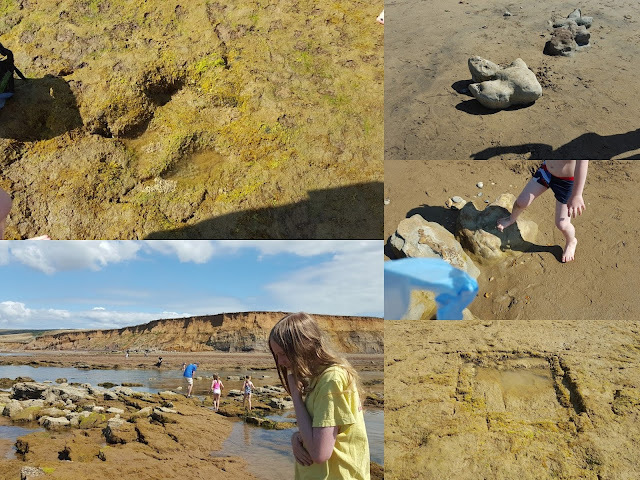 Compton Bay beach, and more precisely Hanover Point, is very special and if you arrive at low tide you can see genuine dinosaur footprints and footprint casts. The rocks are full of fossils, which fall from the rockface as it erodes and if you are lucky you can find them on the beach. 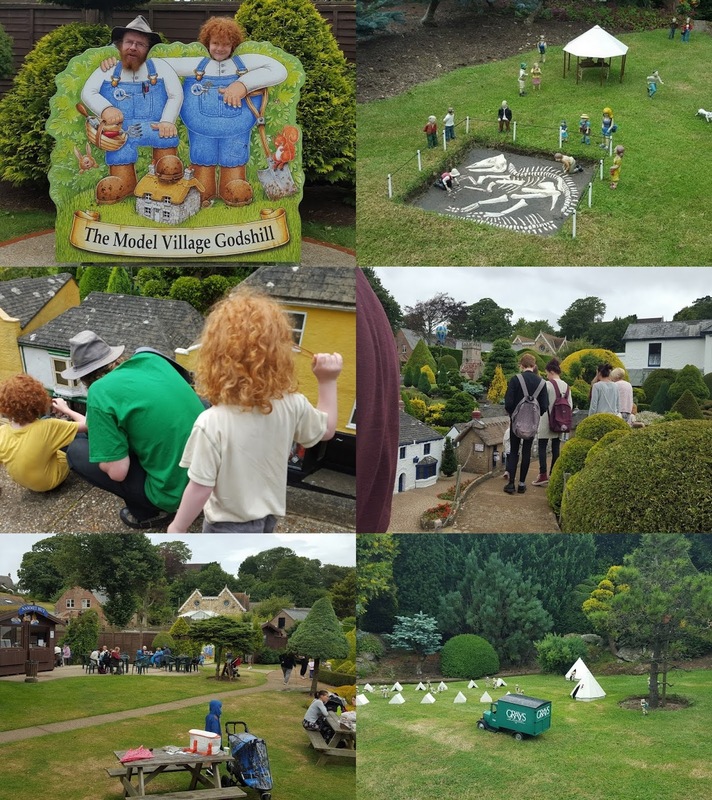 Inland there are plenty of places to visit, and one of our favourites is Godshill Model Village, which was first opened to the public in 1952. 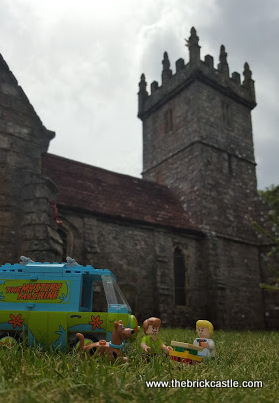 A fabulous model village which worked a charm in our LEGO Scooby Doo Mystery Machine holiday post. The Isle Of Wight is full of history, and children can learn about Queen Victoria and her home, Osborne House, The Battery coastal fort, and how to be a Knight at Carisbrooke Castle. 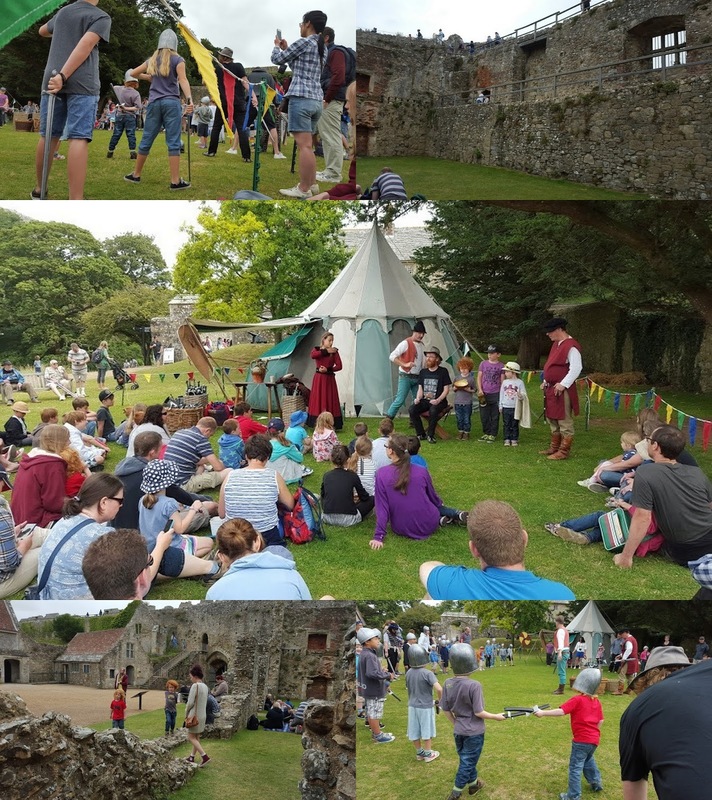 Carisbrooke is a gorgeous motte and bailey castle with wall walks all around and plenty of grounds to explore. It holds special events throughout Summer, as well as regular crafts and exhibitions. The Isle Of Wight has a lot of farmland and woodland, relatively little traffic and industry. Camp Wight is part of a long established farm, with hedgerows that pre-date maps of the 1840's. 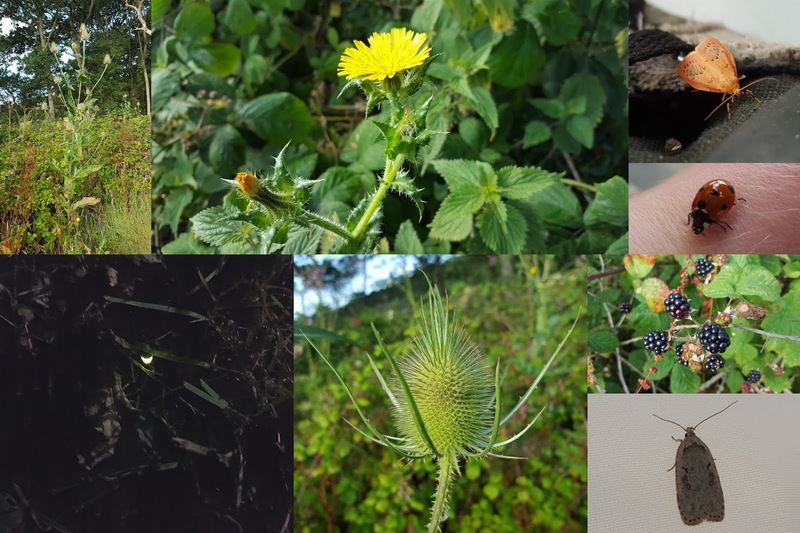 It is alive with masses of wildlife, wildflowers and insects, and wild blackberries coming into fruit all around the site. We were even joined by glow-worms, not something my children will ever see in Manchester! Because we have small children as well as teenagers, and had spent each day busy, our evenings were spent mainly back at the campsite, cooking marshmallows and toast over a fire pit, talking and playing cards. The Isle Of Wight is small, but not lacking in modern facilities. Within a couple of miles of our countryside campsite were supermarkets, takeaways and there are swimming pools, activity centres and restaurants to suit any budget. Ferries to the Isle Of Wight using late night/early morning crossings can be half the daytime price, and offers are regularly available. 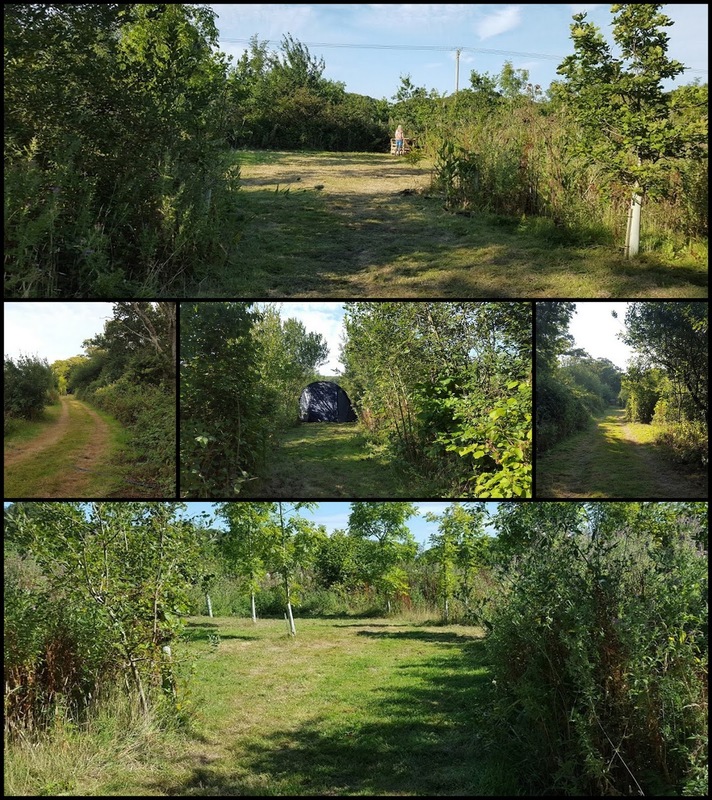 Camp Wight is only usually open during the School holidays, and Forest School activities for younger visitors can be arranged. We holidayed in I.O.W about 3 years ago and loved it. It's such a beautiful place. Our favourite was Black Gang Chine and Shanklin. Nothing beats an ice cream on the parade whilst watching the yachts go by in Cowes.